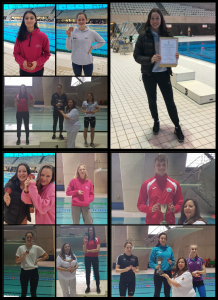 The London Aquatics Centre was the setting for this years County Youth (14yrs-Open) Championships and Anaconda SC continued it’s success at the iconic venue. 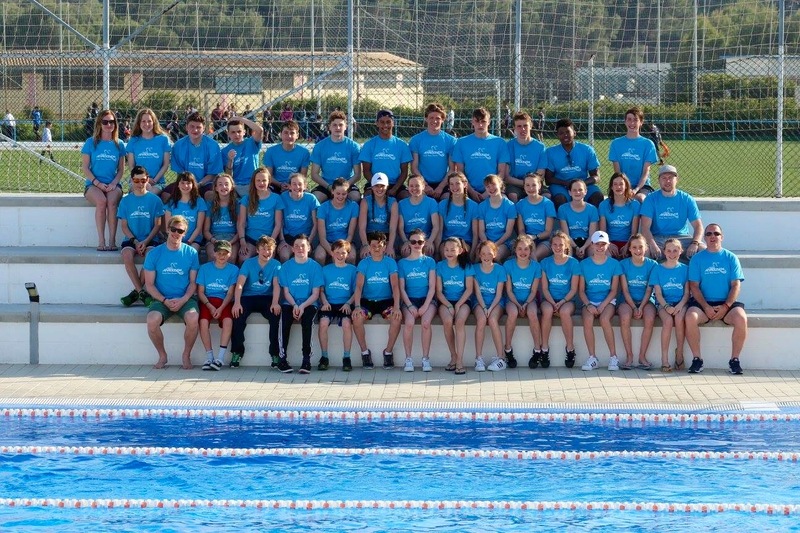 The club had 24 swimmers taking part in 64 events with 38 personal bests gained helping swimmers qualifying for 30 Finals and coming away with 10 medals to show for all their hard work. Elena Dewhurst (16) had a very busy and productive weekend taking part in 6 events, qualifying for 5 finals and winning 4 medals. Elena struck Gold in the 16yrs 50m Freestyle when 26.89 secured 1st place and she followed that up with a trio of Silver medals in the 100m Freestyle (1:00.15), 200m Freestyle (2:13.67) and the 50m Butterfly (29.44). 4th place finishes were achieved in the 50m backstroke (33.24) and 50m Breaststroke (37.58). Tommy Donovan (18) also became a County Champion in the Open 50m Breaststroke final touching home 1st in 30.13. Unfortunately Tommy had to withdraw from the rest of the championships due to injury. Alice Bayley (15) won 2 Silver medals in the 50m Breaststroke with 36.32 and the 100m Breaststroke in a PB time of 1:19.82. Alice also achieved long course PBs in the 200m Breaststroke (3:02.22 5th) and 100m Backstroke (1:16.67 11th). Leila Shafiq (14) carried on the success in the Breaststroke events by winning Silver in the 50m Breaststroke in a PB time of 36.50 and also qualified for the 100m Breaststroke final where a PB time of 1:21.27 secured 5th place. Etti Hutt (14) was very consistent by achieving PBs and qualifying for finals in all 3 of her events. 32.84 in the 50m Backstroke placed Etti in 4th and 31.75 in the 50m Butterfly was another 4th place finish but 29.01 in the 50m Freestyle secured a Silver medal for Etti. Dorothy Brock (16) won herself a Bronze medal in the 100m Freestyle with 1:01.81 and also qualified for the 50m Freestyle final where 29.07 placed her in 7th. The Anaconda squad was completed by Jess Neale, Dylan Baker, Annabel Mitchison, Jasmina Charap, Bianca Giustiniani, Luke Dudley, Sam Tully, Emily Thomas and Theo Pliner who all cointributed towards the PB count. Well done to you all.